What’s up with wheat? Is it a staple of whole grain heart healthy nutrition, the devil incarnate or somewhere in between? Is wheat a problem for some people, most people or everyone? It absolutely is a major problem for some people, to the point if hospitilization. That’s a couple percent of the population that doesn’t need to think wheat through. It’s guilty, done deal. But for the rest of us, is it a problem? Can we ever expect to know the answer to this? No matter how many tests we develop is it possible that we might never know exactly how many people are affected by it on all different levels? Yes, it’s possible we might never know precisely. But if the health powers that be come to the conclusion wheat seems to be problem for some or most people, then we need to do some digging and ask some important questions. Is it wheat in and of itself? Is it just the new wheat? Is it the processing of it and removal of the bran and germ? Is it the promotion of whole grain with all the germ and bran? Would white bread be better for some/all of us? Is it NOT traditionally preparing the wheat? Is it the food we eat with the wheat? Think sugar, vegetable oil, salt and additives. Is it the volume of wheat? Three times a day or more, resulting in many daily/weekly servings in many products? Is it the over consumption of calories in general? Is it the poor diet? Nutrient deficiency? Is it the lack of activity paired with all this? Does genetic heritage and history of ancestors’ wheat consumption matter? Is it our immune tolerance? Stressed people react more to wheat? Is it a little bit of more than one? All of these? The bottom line is we don’t really know. As usual, it depends on the person. My thought is that it is a combination of several of these factors, differing for each person but multifactorial for most. The new genetically altered, gluten rich wheat, eaten in excess in the context of a poor diet is problematic for people who have reduced immune tolerance from being over stressed, under nourished and under slept. Is wheat a problem for you? Body status + type of wheat you eat + wheat frequency = wheat tolerance. Stressed body + processed wheat with additives/sugar/oils/fried + 2-3 times/day = problem for most. If you look at wheat this way it gives you a pretty practical way to approach it. If you’re under stress or pretty tired, limiting your wheat might be a good idea. If you’re in a good place then you can likely eat wheat a bit more freely, keeping in mind that more simple wheat will likely be better tolerated regardless of your body status. For my money this has been the best way to approach wheat consumption. If I’m in a good body place I can handle wheat without too much problem but if I’m under slept, overworked or go through a period of eating pizza, pastries, crackers or other poor versions of wheat then it has more of an impact. Maybe it’s all the other stuff in those foods that’s the problem but since I don’t enjoy plain wheat I need to keep that in mind. When I choose to eat wheat it’s usually in some food product so to me wheat is synonymous with wheat products. Some people might choose to stick to basic wheat and that’s fine although most people I know also don’t eat plain simple wheat. Wheat seems to exist to most people in the form of wheat products. Something to keep in mind. Personally, I’d rather have a little “strategic” bad wheat every once in a while than some regular, plain wheat more often. That’s just a personal preference and we all get to make our own decisions. Make your own decisions and see how you feel. You owe it to yourself to try both sweaters on for size and see which one fits. Step one: Clean up your diet. The more whole, natural, one ingredient foods you can eat the better. Limit the artificial stuff and food products. Seek out nutrient dense foods. Step two: Manage the stress on your body, brain and mind. Sleep helps everything. One of my theories is that if we all slept better (more volume and in harmony with the sun and seasons) that we would be less impacted by wheat and other foods that pose potential problems. Step three: Try limiting your wheat intake. Try eating simple wheat. Spend a while just eating wheat and not wheat products. Try ancient versions like eincorn, sprouted (like Ezekiel products) or cultured (sourdough). Step four: See how you feel. Step five: Keep working on steps 1-4. This should give you a good start in assessing your personal wheat tolerance and how it fits into your dietary approach. ** Due to the elevated chronic stress response of autoimmune disorders, people suffering from the myriad of conditions in this family usually fare remarkably well by managing their wheat intake. 1. Although certainly a problem for some, it is difficult to make a blanket statement on how wheat impacts most people’s health. A number of factors are involved in how tolerant each person is to wheat. It is also likely that tolerance changes on a regular basis. 2. The primary factor of tolerance is the overall health and stress status of the person eating the wheat. The more stressed the body the more negatively wheat is likely to be. 3. 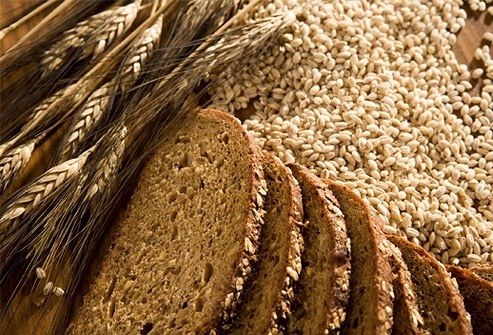 Secondary factors include type of wheat, amount & frequency of wheat and other foods eaten with wheat and in the diet. A little bit of simple wheat is going to be less impactful than a bunch of wheat products eaten three times a day along with a nutrient poor diet. 4. Because of all these factors it is difficult to tell if is wheat itself having a negative impact or if the other things involved are the problem or contributing to the problem. 5. The best way to assess personal tolerance is to experiment. Get the body as healthy as possible and then see how it responds to removal and/or different forms and contexts of wheat. P.S. Here’s the case for grains.